We are starting to collate entries for our brand new 2018/19 contractors, consultants and installers handbook. To list your business is free of charge, however we do need up to date details for your business. Along with a supplier index, there is a products and services index making it a handy reference manual for our readers, which is useful all year round. It will be based on an A5 size, keeping it compact to keep in a van or toolbox. 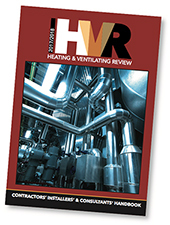 The handbook will be sent to 3,500 contractors, consultants and installers which we have on our database and will be included in our July edition of HVR. Please please download the form here to complete your details, also you will see there are opportunities to enhance your listing, place a display ad or even opt for a company profile. Please complete the entry form attached and return it to JDavies@datateam.co.uk​ or send it to Julian Davies, HVR, Datateam Business Media, 15a London Road, Maidstone, Kent ME16 8ly.